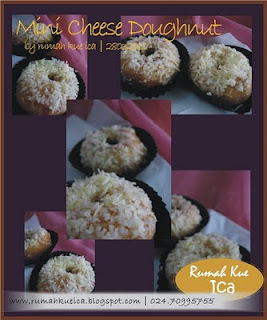 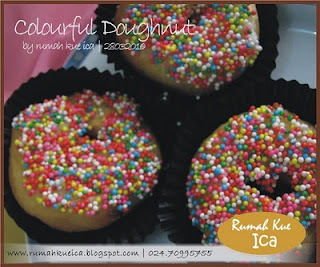 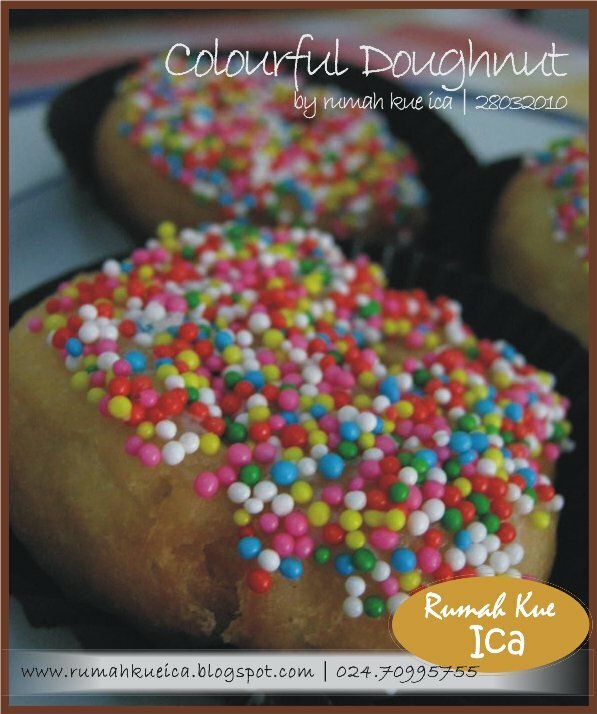 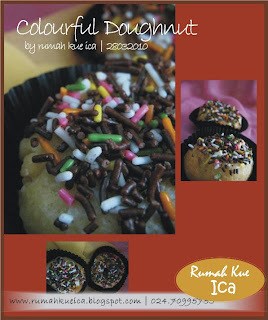 RUMAH KUE ICA | Toko Kue Online Surabaya | The Heart-made Cake, Cupcake & Cookies : THE DOUGHNUTS.. 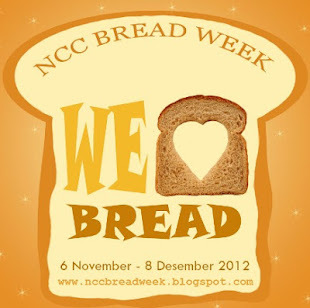 Weekend, of course. Time for baking something, having order or not, sure we should jump into the kitchen and bake something..
And this time, my both cute girls pushed me to bake them some donuts.. well, nice and encouraging challenge.. so when I walked into the baking ingredients store, the most top priority is doughnuts ingredients, for sure.. 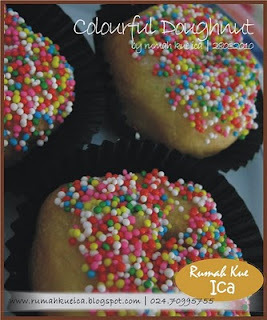 So, I used colour little sprinkle, chocolate and cheese, of course..